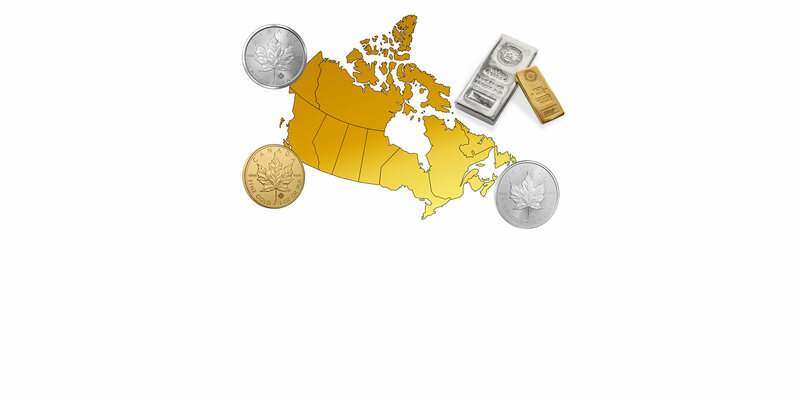 Buy Gold, Silver and Platinum from Atlantic Canada Metals Inc.
Silver, Gold and Platinum. Buy your precious metals from Atlantic Canada Metals Inc. and store them in Canada in a 24/7 guarded High Security Vault. 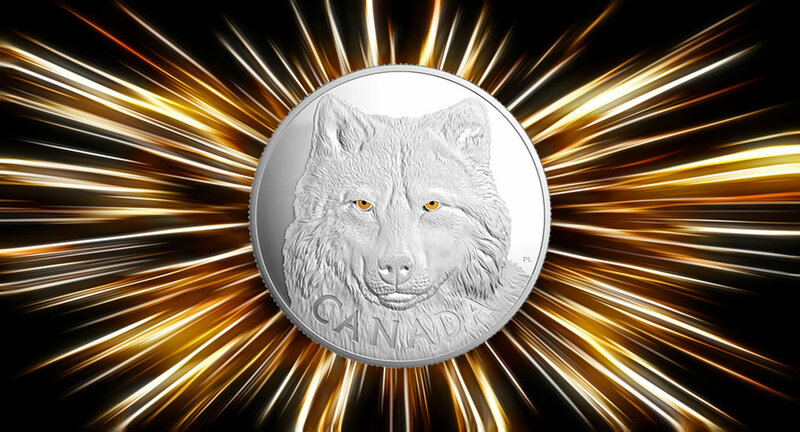 The one kilo silver coin "Eyes of the Timberwolf" is a very special numismatic coin with a low mintage of only 400 coins worldwide. This silver coin comes with a beautiful wooden case. 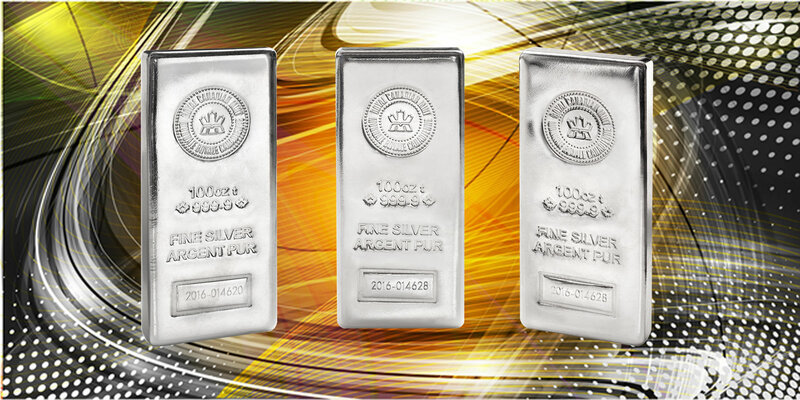 100 troy ounce silver bars are an absolute classic silver product. 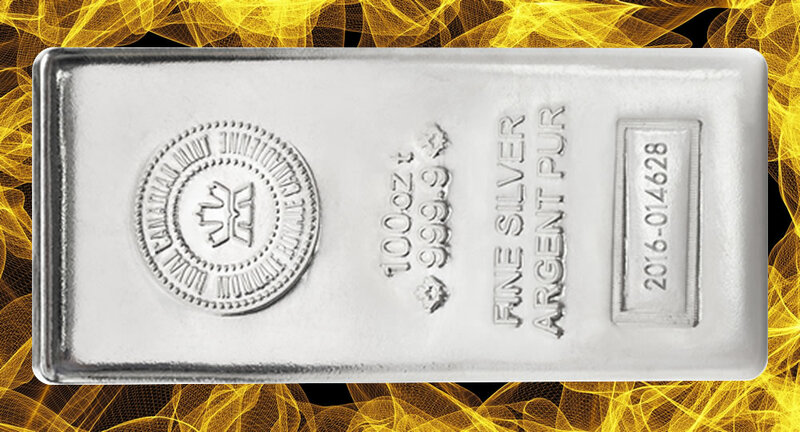 About 3.1 kilo of pure silver marked with the year of production and an unique serial number, this is a truly distinctive silver bar. With this bar you get the most silver for your money. Gold is timeless and the perfect product to store wealth and to carry wealth over time. Even central banks use Gold as a measure of protection because they know it is the only true form of money. 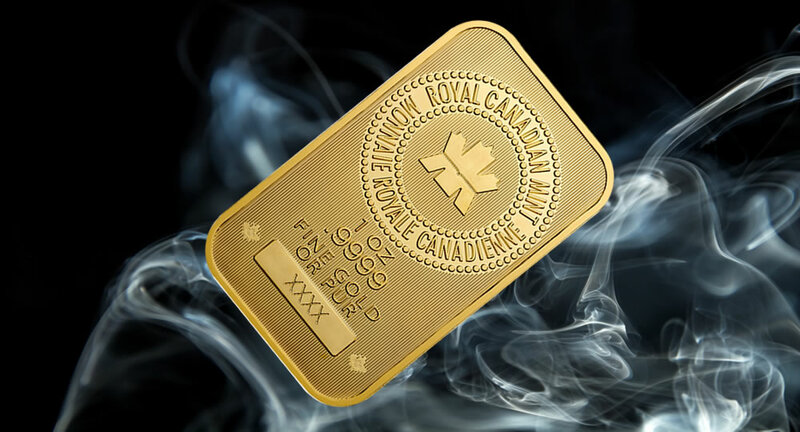 The 1 ounce gold bar is one of the most popular gold products and for most people the best size to buy gold. Please check our Frequently Asked Questions in case you look for some information. If you are unable to find an answer to your question don't hesitate and send us an email. Thank you. Security is probably one of the most important points when you consider to buy and store precious metals. We offer industry leading standards when it comes to security. Please read what we do to be the best storage company worldwide. Check out our testimonials and see what our customers say about us. If you are a customer of Atlantic Canada Metals Inc. we would like to hear from you. Tell us about your experience with us. Thank you.